I love this book! Every time I read it or even see the movie adaptation, I just wanted to throw everything aside and head off on another adventure. 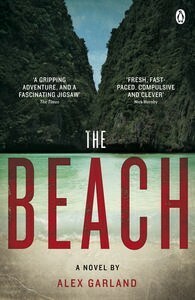 The Beach by Alex Garland follows a young man’s experience, travelling in Thailand. He comes across a crazy man in Bangkok who lets him in on a secret. A traveller community hidden away on a remote island living the good life surrounding by incredible natural beauty. Though as it turns out it’s not quite all it’s cracked up to be. Highly recommended read.